As I write this post, the smell of fresh paint fills the air of my office. It’s a familiar smell in our church almost every week. “Weekly” you ask? Yes, we like to call it, “PROJECT Main Street”. The Williamson family are huge Disney fans. 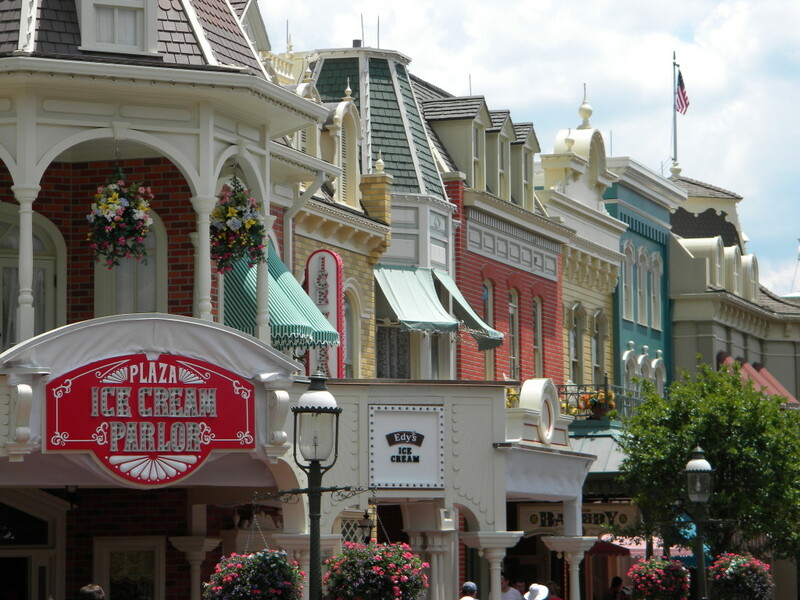 We love to take vacations in Orlando at the Disney Resort as often as we can. On one trip, we discovered what Disney calls, “PROJECT Main Street”. Every night, when the park closes, Main Street USA, that leads the way to Cinderella’s castle, is repainted! Yes, every night! That’s why it looks almost exactly the way it did when I first saw it as a little boy in 1976! Disney has always set the bar high for excellence, and it seems to me churches shouldn’t have lower standards than an entertainment corporation. And yet, we all know the reality is, most churches have much lower standards. Church facilities are old, outdated, rundown and dirty. Sadly, for a lot of my life, the smell of mildew always reminded me of God, because that was what our church smelt like when I was a child! I’m not saying we should have people in character costumes greeting guests on Sunday (although that would be cool). But what about budgeting a can of paint or two each month just to cover up all those hand prints, smudges and random marks all over the walls of your facility? At VALLEY Christian Church, we utilize volunteers for painting, so it literally costs just about $20-30 for the can of paint to make things look fresh and new. Rather, than scheduling a HUGE work day once or twice a year, we’ve discovered “a little bit goes a long way” to keeping things looking like a Barbarian horde didn’t descend upon the church last Sunday! I work for a theater company and their model for excellence is Disney. And without a doubt my family is a Disney family. I really appreciate the sentiment of maintaining a house of worship that is presentable. Showing your appreciation for a house of worship is important and I do think you honor God when you care for the things he has blessed you with. But is it more important that we try to get people to come to us or should we be going to them? And the more I read/hear about the pure and unhindered worship of Christians who meet in basements or on the streets the more I remember that church is not a place, not a building, but a body, the bride of Christ. And what is more important is that she is clothed in love, mercy, grace, kindness, gentleness, humility, patience. I’m sorry if I seem critical. But I have been to churches whose priorities are just all wrong, like they think they hear God whisper, “If you build it, they will come.” And so they build it, the people come, but the community and even the church struggle to accomplish what God really calls them to do: love and serve others. I’m all about Missional, Jason. Even teach a class in Christian Life Educators Network (http://www.clenetwork.org/) about Missional Church. Totally agree! Just see it as both/and rather than either/or. Glad we’re on the same page!